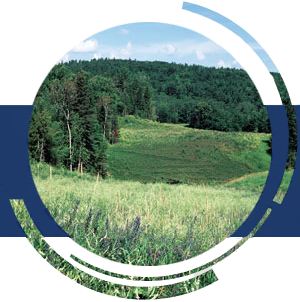 TQM Pipeline has acquired approximately 2,000 rights of superficies, of which 1,500 are for its pipeline between Les Cédres and and Lévis (St. Nicolas), and 500 for the extension of the company's system between Terrebonne (Lachenaie) East Hereford. These rights, commonly called easement rights, apply to property the pipeline crosses and permit maintenance of the pipeline as well as ensure the security of the company's installations. This easement right is applicable to the width of the pipeline right-of- way which is generally 23 metres wide. The pipeline's presence does not restrict landowners' access to their land; however, a landowner must obtain written authorization from TQM Pipeline before starting any construction activity on the pipeline right-of-way. This authorization ensures TQM Pipeline that the activity will not disrupt the service of or damage the pipeline in any way. One of the principal threats to pipeline integrity is damage caused by unauthorized third-party activities, such as excavation or construction. The National Energy Board has developed regulations regarding construction activities on and around areas where pipeline facilities are located. Along with obeying the National Energy Board's restrictions, landowners should obtain written permission from TQM Pipeline for any digging activities crossing the pipeline or for any digging activities located less than 30 metres from the pipeline right-of-way. maintenance of a permanent signalisation. The pipeline system operated by TQM Pipeline is on private property. Access is prohibited at all times unless permission has been granted by the landowners.